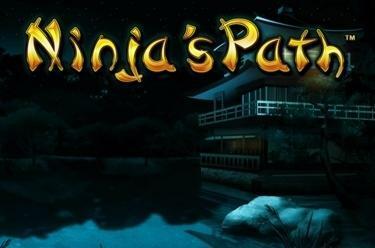 Play Ninja’s Path™ online for free now! It’s worth fighting for these winnings! Especially if you have an experienced ninja by your side to defend your Twists with fire and sword! In Ninja’s Path™, witness a marvellous display of Asian martial arts – five reels, up to 25 pay lines and a free game feature in which our ninja walks through fire for your Twists. All this ensures precise, action-packed winnings for your gaming account! Your goal is to land five matching consecutive symbols along a win line, starting on the left. You can view the prize ranges for each winning combination in the Paytable. With three or more shuriken in any position, you awaken our hero’s fighting spirit! This triggers ten free games using the settings from your last regular game. 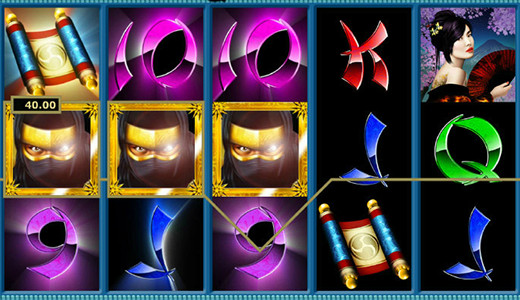 In the free game, the ninja has a sensational impact when he appears: A ninja not only gives you additional free games (one = one additional free game, two = two free games, three = four free games, four = 30 free games, five = 50 free games), but also doubles your winnings in the next round. If the ninja appears again in the next round, your winnings in the next round will be multiplied by five – and with a third ninja in a row, they’ll be multiplied by nine!